Available as a topical cream, gel or liquid, tretinoin is a retinoid medication that’s used to reverse many of the visual signs of aging. Tretinoin is also commonly known as ATRA, or all-transretinoic acid. It’s used by hundred of thousands of users every year and is safe, effective, and the only anti-aging drug to approved by the FDA. Like many medications, tretinoin is available in a range of strengths depending on severity of the skin and sensitivity levels. This guide will cover everything you need to know about tretinoin to help you stay informed as a potential user. Tretinoin is a derivative of vitamin A and is a prescription-only medication. 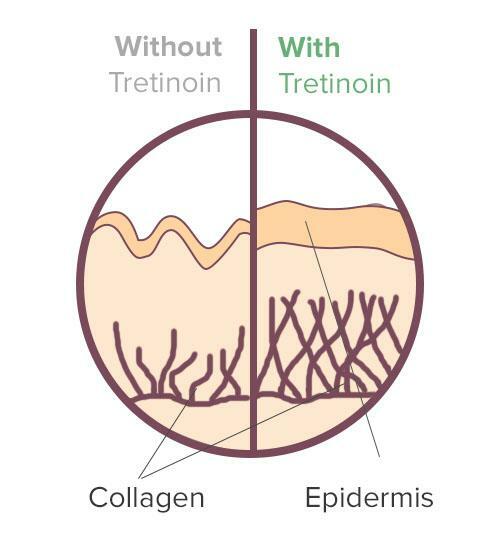 By affecting the way skin cells develop, tretinoin can prevent many of the common visible signs of aging. As we get older, our bodies begin produce new skin cells at a slower speed. The longer it takes for our skin cells to turnover and are exposed to sunlight and air, the greater the effects of photoaging—the process through which your skin starts to develop fine lines, wrinkles, and other visible signs of aging. Tretinoin works by speeding up your body’s production of new skin cells, letting you replace old skin with new skin faster. In turn, this slows down and reverses those signs aging. Tretinoin use treats fine lines and wrinkles, brightens the complexion, and fades dark spots left by acne or sun damage. Tretinoin is also known as retinoic acid—meaning that because you don't have to wait for the skin to convert it, it directly affects the skin. Because of this, tretinoin is a powerful medication for the skin and allows you to potentially see improvement of the skin in six to eight weeks time. Visible results takes roughly six to eight weeks because that's how long it takes for the new skin to reach the epidermis. Tretinoin is the single most studied anti-aging medication, with several studies looking at the substance’s potential to reverse signs of skin aging such as the development of wrinkles, sun exposure damage and other skin blemishes. 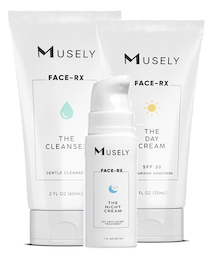 In one study, participants were divided into two groups, one of which received non-prescription skincare products, and the other a 0.02% tretinoin cream in addition to moisturizing sunscreen. 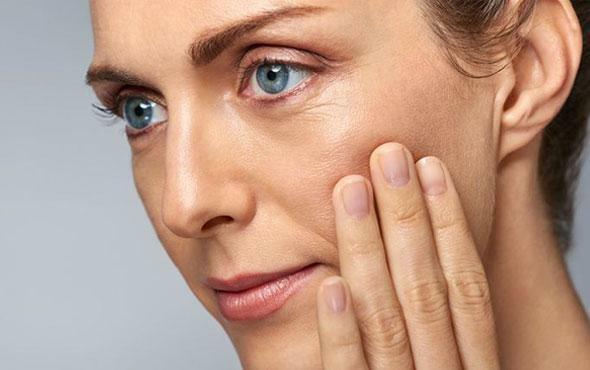 Over the course of eight weeks, participants in the tretinoin group saw a significant reduction in facial skin aging, with lower eye area wrinkle fraction, and an improvement in overall skin appearance after the treatment. The effect of increased skin cell turnover can be irritation and flaking. 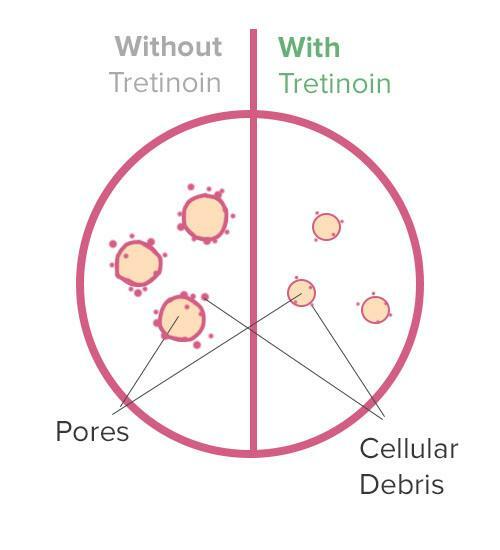 For this reason, many people stop using tretinoin after a couple of days or weeks—and then think that it didn't work. It is important to realize that although tretinoin starts working hard on your skin immediately, results won't be visible for several weeks and users must be patient with the side effects to start seeing signs of aging reverse. 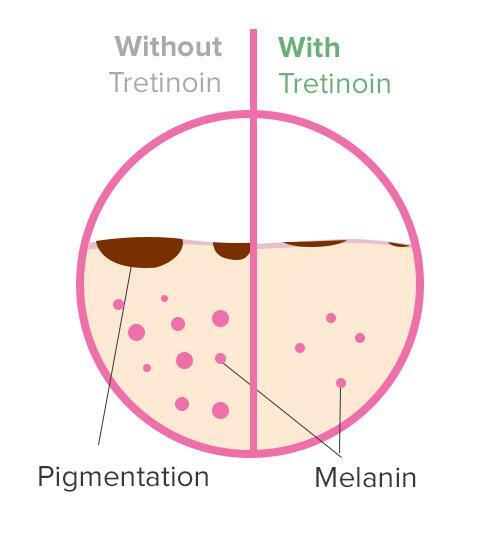 The most common side effect of tretinoin use is a warm, stinging sensation in the skin directly after the medication is applied. This is often accompanied by dry and itchy skin, skin redness, mild scaling and a slight burning sensation. Side effects can be greatly minimized with proper use (e.g. appropriate strength level for your skin types, pairing tretinoin with compatible ingredients) and are typically temporary for the first 2-4 weeks as your skin learns to tolerate. Many of these minor side effects resolve on their own, while others are easily fixed by using a moisturizer or other skincare products to counter the dryness produced by tretinoin.